The report on the Arab League vote is also being carried by CNN but is not confirmed. It is not clear what mechanisms would be invoked to implement it. NATO states have insisted that a no-fly zone would need the authorization of the United Nations Security Council, where Russia and China are said to be reluctant. 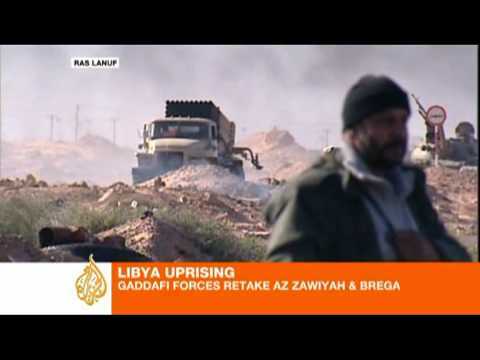 On Friday morning I cautioned against seeing the see-saw fighting as sign of Qaddafi momentum, but after the events on Friday it seems indisputable that government forces have rallied effectively and are reasserting control over territory, pushing back the rebels.